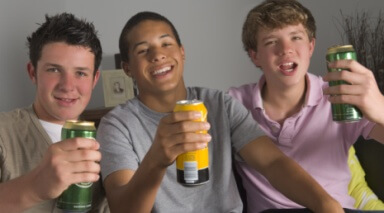 The new year brings majors changes for the law governing minors in possession of alcohol in Michigan. Prior to Jan. 1, underage drinkers between the ages of 17 and 20 who were caught in possession of alcohol faced misdemeanor charges. Now, young drinkers will be given a chance to make a mistake, and get a civil infraction and pay a $100 fine. Senator Rick Jones (R), one of the sponsors of the legislation, said he certainly isn’t encouraging minors to go out and drink, but if they do, he wants them to have a chance to atone for their mistakes. He said they shouldn’t have to deal with a criminal history for making one wrong choice. As a criminal defense attorney, I completely agree with Jones’ rationale. Far too often, I see youthful offenders pleading guilty to this offense without seeking counsel, not realizing there were deferral programs available to them that would allow them to keep the offense off their criminal history; a misdemeanor, no matter how minor, can significantly affect an individual’s ability to gain employment. According to Michigan State Police, 38,499 people under 21 were arrested for some sort of minor in possession charge between 2009-2013. Counties with college towns accounted for the largest amounts of citations. Isabella County, home to Central Michigan University, had 233 citations during that time. I am not advocating underage drinking, either, but we all know it happens. Remember when you finally got to college, away from home and on your own, didn’t you feel the need to try new things? It’s all well and good to say be smart and don’t get caught, but that’s not always the reality. With this modification to the law, lawmakers are acknowledging what we already know, young people make poor decisions at a greater frequency than their elder counterparts. Now college students are given the opportunity to learn from their mistakes without ruining their chances for a better life down the road. Stiff penalties are still in place if they continue to make poor decisions. The second offense would be a misdemeanor punishable by 30 days in jail and a $200 fine. A third offense would carry a sentence of up to 60 days, a $500 fine and possible revocation of the offender’s driver’s license.